The Chop: another one gets the bob. Lara Bingle started it, Lauren Conrad can’t stop doing it, Diana Agron did it to the extreme and our own Mia Freedman is rocking it. The bob is having a big renaissance. 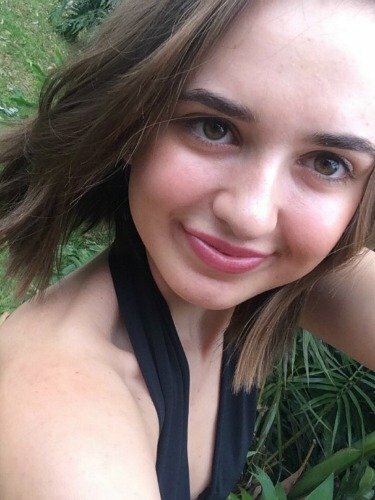 For Matilda Rudd, an editorial assistant here at Mamamia Women’s Network, her reason to get a bob cut was simple: a serious case of FOMO (‘fear of missing out’, just FYI). “Bobs are everywhere at the moment… I wanted to know what the fuss was about. Oh, and I also wanted to see what my neck looked like. It’s been hiding behind my locks for a while,” Matilda says. Lara Bingle and the bob that started it all. Like so many other women, Matilda has been holding onto her long hair for many years. 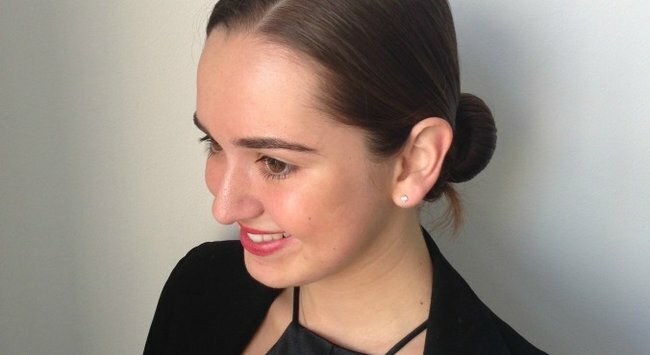 Her recently lobbed-off long hair had been her go-to style for… 15 years. “I rocked up to school on my first day with long plaited pig tails, and I&apos;ve been sporting that look ever since. I&apos;m 19 so I was definitely in need of a change,” she says. 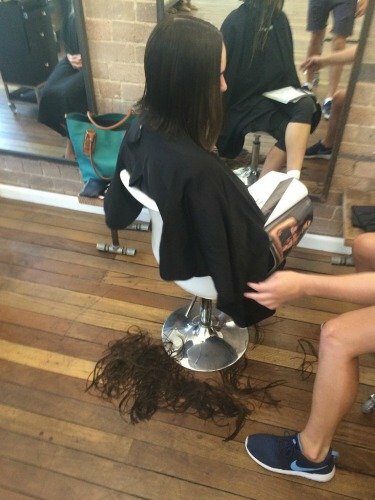 This is what happened when Matilda paid a visit to Sydney salon Edwards and Co. (which, coincidentally, was responsible for the Bingle Bob) and had ten inches of her hair chopped off. I love the beach and run/swim around Sydney very often. So with summer fast approaching, a short haircut was going to reduce the time I would spend detangling knots and removing seaweed from my head. You can&apos;t argue with that. I&apos;ve also had issues when I wear my long hair out while sunbathing and earning myself a serious hair tan-line down my back. These exist. I love change, so basically I just wanted to mix it up and try something new. If it didn&apos;t work out I knew it was always just going to grow back (I say this but I would have been crying had I come out looking awful but this is the standard line all girls must use prior to a haircut.) 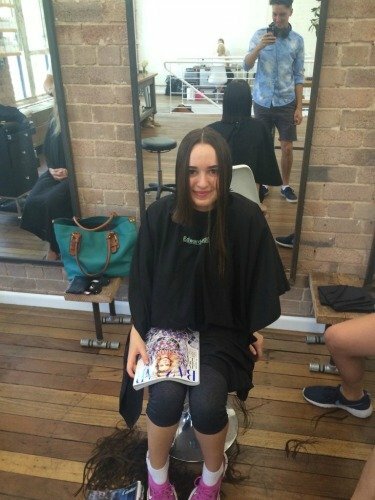 Oh, and Mia Freedman gets her hair at Edwards and Co, so who wouldn&apos;t want to try it! Have you had any major life change lately ? I&apos;ve been working full time at iVillage and Mamamia recently and there are some fabulous haircuts in the office. Endless inspirations to choose from. New job = new hair. I was looking at bloggers like Tuula from TuulaVintage (love her! ), Jessica Alba, and of course bob cuts on my trusty Pinterest. How did you describe what you wanted to Byron? I basically just showed Byron Lara Bingle&apos;s Instagram, and then said, "Hi, can you make me into Lara Bingle. No? Okay then, let&apos;s just try to make my hair kind-of sort-of like hers. OK, great." A haircut at Edwards and Co generally takes an hour. It&apos;s probably the most talked about new hair trend of 2014. I can&apos;t help but thank Lara Bingle for creating the trend. Lara&apos;s hair gets looked after by director Jaye Edwards of Edwards and Co.
What sort of inspiration did you have in mind while you were doing Matilda’s hair? Her style, her fashion and her amazing excitement for trying something new. Cutting a solid formation while creating an effortless amount of texture.